Storm Surge is expected to be as high as the first floor of a house. 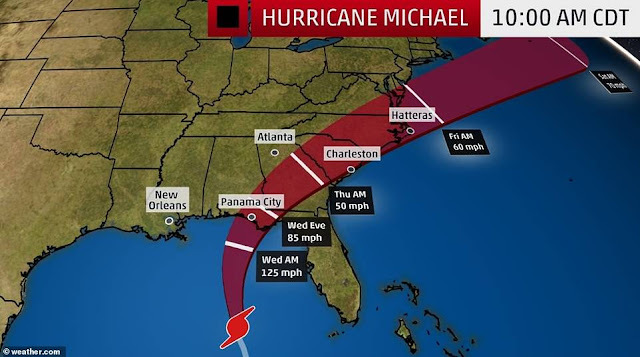 Category 4 hurricane Michael with maximum sustained winds of 130 mph is expected to strengthen further before making landfall near Panama City, Florida, on Wednesday afternoon. According to the BBC, Hurricane Michael has been upgraded to an "extremely dangerous" category 4 storm, hours before it is due to make landfall in Florida. The storm has sustained winds of 130mph (210km/h) and is due to make landfall at about midday (16:00 GMT). More than 370,000 people in Florida have been ordered to evacuate and move to higher ground. At least 13 people reportedly died in Central America over the weekend as a result of the storm, rains and floods. 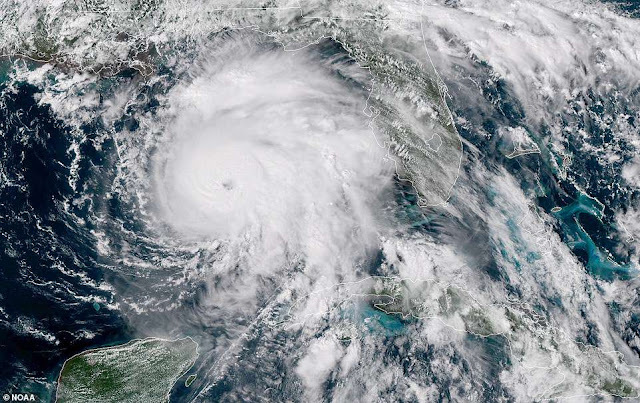 Florida has declared a state of emergency, as have Alabama and Georgia.